The wet weather looks set to affect the sporting action once again this weekend, with several football matches already falling foul to the elements. Scarborough FA Harbour Cup (1.30pm ko): Kirkbymoorside v Filey Town. Frank White Trophy (1.15pm ko): Commercial v Goal Sports, Eastway Sports v Fishburn Park. Division Two: Falsgrave v Edgehill Res, Seamer Res v Cayton Res, Snainton v Filey Res, West Pier Res v Newlands Res. 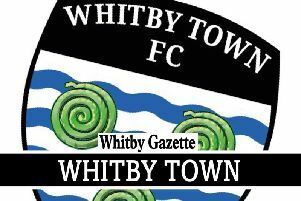 Division Three: Filey Town 3rds v Scalby Res, Westover Res v FC Rosette. Kenward Cup: Scarborough Campus v Roscoes Bar, West Pier v Commercial. Goalsports Trophy: Cayton v Crown Tavern, Trafalgar Reserves v Ayton. Division One: Barrowcliff v Heslerton, Newlands v Fylingdales.